Your new home will be unique, different than any other home, because it’s yours. Let the experienced mortgage lenders at ISB guide you through the process of building that home. Are optional at the customer’s discretion for all assessments due to property taxes and hazard insurance, and where applicable, required for flood insurance and private mortgage insurance. May be made by phone, FAX, mail or in person. Up to 12 months for construction followed by permanent financing up to 30 years. 85% of the appraised value or purchase price (whichever is lower) with higher loan-to-value ratios available up to 97% subject to private mortgage insurance underwriting and approval. 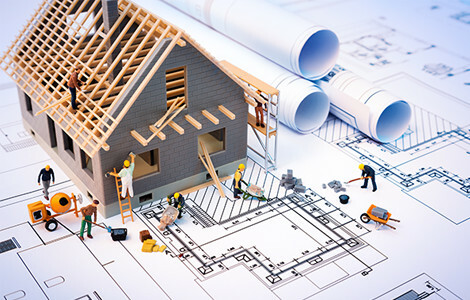 Planning your new home’s construction can be a daunting task. Choosing a lot, contractor, home design and financing options can be overwhelming. We’re here to help. One on one service from your local ISB mortgage lender will guide you through the planning, building and financing process. We’ll also be here for you after you’ve moved into your new home. 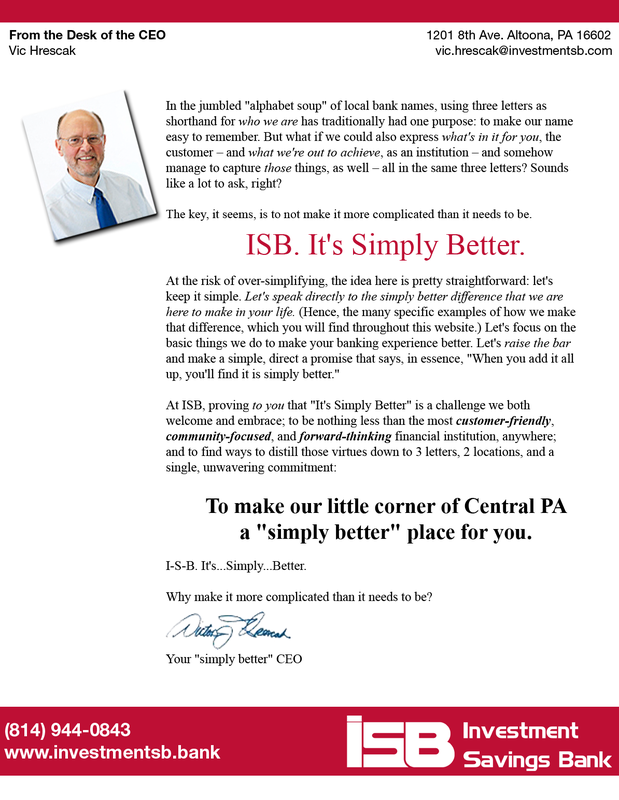 We are a local community bank and we know our customers by name. We service every loan we originate from right here in Altoona, PA, and, for you, that means prompt, courteous service. Let us help you meet and exceed your financial goals.